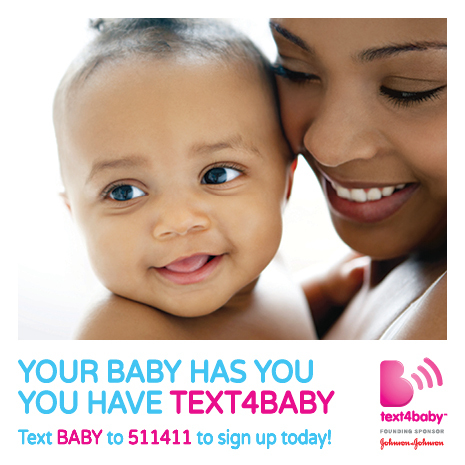 mom | Live Healthy S.C.
Sign up now – text BABY (BEBE in Espanol) to 511411. You’ll receive three text messages each week, timed to your due date or your baby’s first birthday. Messages begin during your pregnancy and go through your baby’s first year. You’ll get information on prenatal and infant care, immunization, developmental milestones, nutrition, oral health, quitting smoking, safety, and more. There is also a free Text4baby app available on the App Store and on Google Play that provides additional information about baby’s development, pregnancy, childcare tips, and more. Looking for information on medicines and pregnancy? The FDA Office of Women’s Health has free materials and videos to help you make good choices about the medicines and other products that are safe for you and your baby. For more information about the free text4baby service offered through Zero to Three, please visit the text4baby website. This entry was posted in Community Health, Maternal & Child Health and tagged babies, mom, pregnancy, Text4Baby on September 2, 2015 by SC DHEC.